"Cherry tomatoes take less than 10 minutes to prepare." See how to make a rich, creamy homemade herb mayonnaise. Made this for my husband and he really enjoyed eating them this way! I sprinkled a little parmesan cheese over the dish. 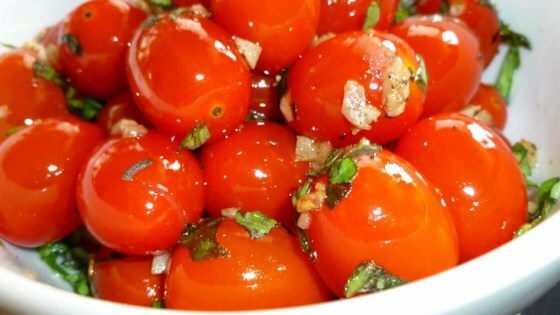 A great way to serve cherry tomatoes! Thanks! A keeper! Cook at last moment when preparing dinner so you can get them right to the table when they're ready; they cool quickly and when that happens the texture fails. Great dish, though! Add some grated parmesean cheese just before serving.